In November’s issue of Legal Alert, we provided a brief summary of issues business owners should consider prior to selling their incorporated business. Our advice included starting the planning process early in order to maximize the value that a third party will place on the business. Part of that planning should include readying your business for a due diligence review by the purchaser. A purchaser’s due diligence usually takes place after signing of a letter of intent or purchase agreement, but before the agreement to purchase becomes binding on the purchaser. Preparing for the due diligence review will ensure that prospective purchasers aren’t scared away by any unexpected issues. By contacting your lawyer early in the process, you can ensure that corporate records and documents evidencing the issuance of securities, including all necessary filings, are in order prior to the due diligence review. Your lawyer can also advise you how to deal with outstanding or potential litigation. You should also be in contact with your accountants to ensure that your financial records are up to date and that you have made all necessary tax filings and government remittances. Material contracts include agreements with any major customers and suppliers, any significant debts or financial obligations, or any other agreement that could have a material impact on your business. If you have any such arrangements that are not in writing, it is advisable to prepare contracts prior to the due diligence review. If a prospective purchaser intends to employ your current employees, they will want to ensure that there are employment agreements in place. They may also want to ensure that the company has signed confidentiality agreements and protection of corporate interest agreements in place with its employees. 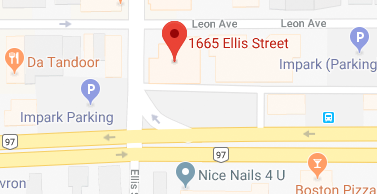 If your company owns real property, the purchaser will want to ensure that there are no financial encumbrances on title or other unexpected encumbrances. Further, if your company’s business involves intellectual property rights, including but not limited to copyright, trademarks and patents, the purchaser will want to ensure that you have taken the necessary steps to protect such rights. A prospective purchaser will want to ensure that your business is adequately insured. You should ensure that you have adequate insurance to cover your assets and comprehensive liability insurance appropriate for your industry. Finally, we believe that it is best to be up front with prospective purchasers and disclose any potential issues early in the process. Purchasers tend to be more concerned about surprises than they are about issues which have been disclosed. For over 35 years we have been assisting businesses of all sizes achieve their objectives. We do so by gaining a deep understanding of our client’s business and then working hard to help clients succeed. Our clients include emerging businesses and well established corporations across most sectors of the economy. For more information on our Business Law Team, please visit www.pushormitchell.com/service/business-law. 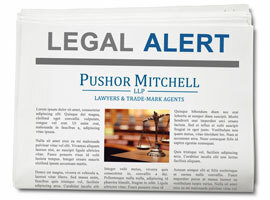 Stay tuned for related articles in upcoming editions of Legal Alert.